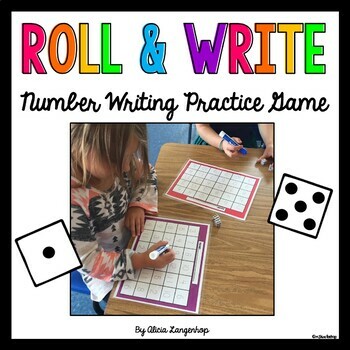 Give your students a fun way to practice writing numerals with this Roll & Write Number Writing Practice Game. 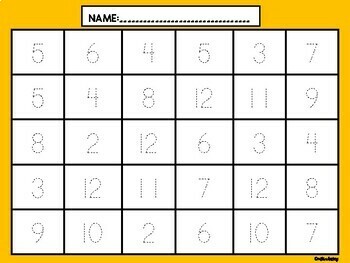 The game boards can be laminated for repeated use. 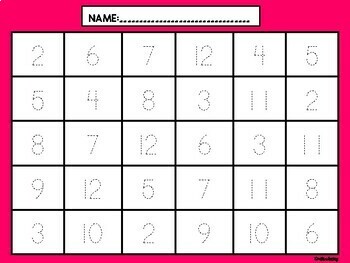 This download includes 6 brightly colored tracing mats/game boards with numerals 2-12. 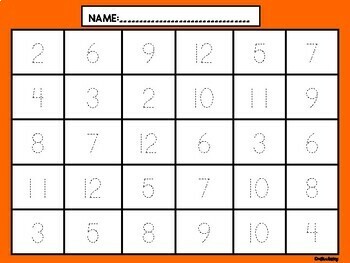 You can use dice or dominoes for students to roll/draw a number and trace it.